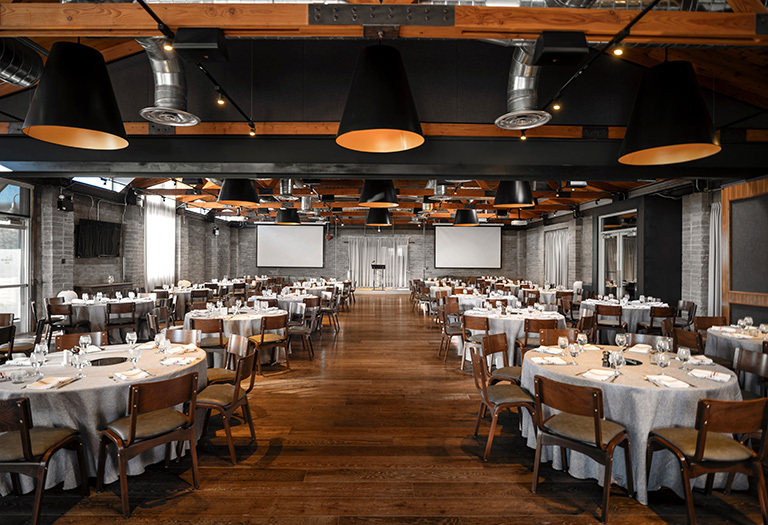 Located inside The Yard at Farmer Arts District, The Showcase Room is a blank canvas where hosts can create any type of vibe for their event, from a black tie fete, to a tech conference, or that dream wedding reception. 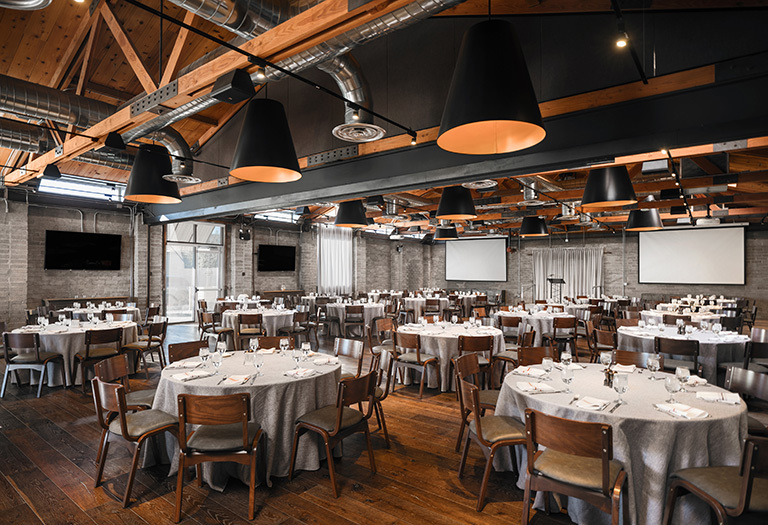 Featuring an inviting industrial atmosphere with original vaulted wood ceilings, the full space will accommodate parties up to 325 for a reception style event and 200 seated. 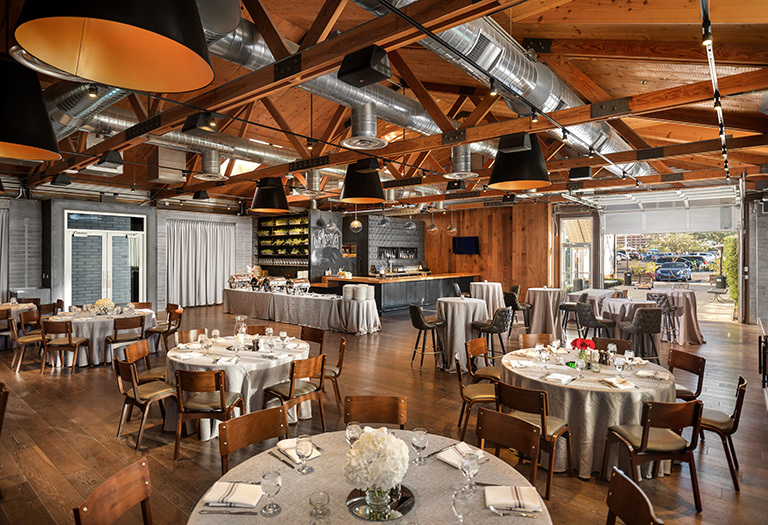 The space can also be divided into two private rooms: The Gallery (south side) and The Broadway (north side).